Netanyahu says Jewish billionaire behind orchestrated campaign protesting against government plan to deport African infiltrators. Prime Minister Binyamin Netanyahu today identified Jewish billionaire George Soros as a patron of the widespread, orchestrated campaign against the government’s plan to deport African infiltrators. 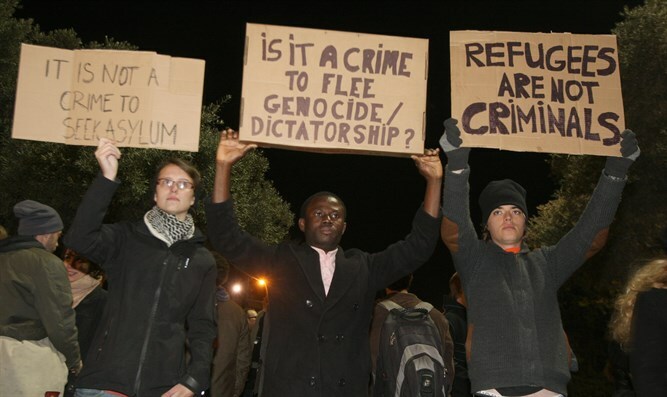 A string of demonstrations have been held in protest of Israel's plan to remove illegal African infiltrators to Rwanda and Uganda. Under Israel's plan, male, unmarried employment-seeking infiltrators have until the end of March to leave voluntarily. Each will receive a plane ticket and $3,500 (2,900 euros) if they do so, and those who remain will face arrest. Bona fide refugees and men with families will not be required to leave. Netanyahu made the statement during a meeting of Likud ministers, in response to Science Minister Ofir Akunis (Likud) who said local aid organizations are funded by foreign governments and foundations. 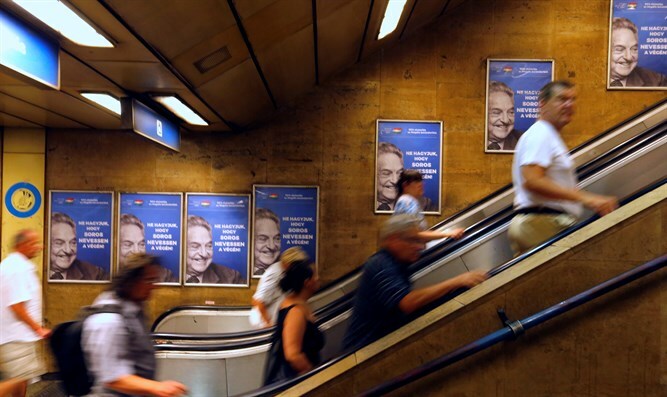 Hungarian Prime Minister Viktor Orban has regularly attacked Hungarian-born Soros in the last year, calling him a "public enemy" for his alleged backing of uncontrolled mass immigration. Leftist Meretz MK Tamar Zandberg criticized Netanyahu's comments, accusing him of identifying with the Hungarian campaign against Soros. The Associated Press last year quoted Orban saying that European Union leaders and Soros are seeking a "new, mixed, Muslimized Europe". In a speech broadcast by Hungarian state media last year, Orban repeated his claim that EU leadership was encroaching on member states' rights and trying to apply policies, such as increased immigration, which he said were opposed by most Europeans. Hungary has barred entry to the masses of migrant workers who have flooded Europe..